Fully Handmade & Custom, not made-to-measure. 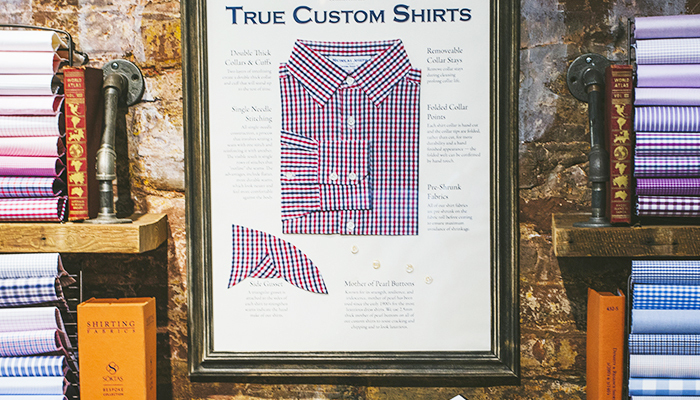 We create a paper pattern for each client and each custom shirt is cut by hand. 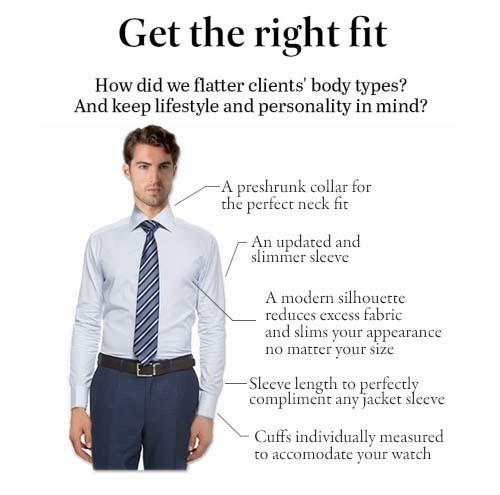 True Custom Shirts: Our shirt tailoring family is exclusive to us, makes a paper pattern for every client, and is a true custom shirt (not to be confused with the Made to Measure shirts most of our competitors offer). See and touch 100s of fine fabrics and finished garments, from designer mills like Ermengildo Zegna, Loro Piana, and others. From two fold 120′s to Egyptian cotton to 100% cotton. See and touch 100s of fabrics and finished shirts. Our experienced staff can help recommend what best for you. Over a dozen measurements are taken by trained experts which are then graded and cut into paper patterns by our Master Tailor. Only best quality materials are used to complement your fabric selection and give your custom shirts the best fit possible, including mother of peal buttons. Our True Bespoke shirts are made by our exclusive family of shirt tailors & cutters who make a paper pattern for each client. Imagine which style designs you would choose, a partial list of the most preferred selections is below. PLEASE NOTE: Viewing our Fabric Collection will open in a separate browser window. You may receive a redirection warning from your browser, however, we can assure you that we own nicholas-joseph.com and the site is fully secure.